When we pass arguments by reference, the 'formal' arguments in the called function become aliases to the 'actual' arguments in the calling function. 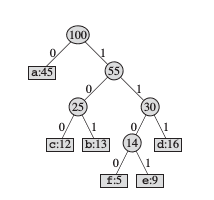 with the corresponding functionn code. All inline function be defined before they are called. The inline keyword merely sends a request, not a command, to the compiler. The compiler may ignore this request if the function definition is too long or too complicated and treat it as a normal function. 1. For functions returning values,if a loop,a switch, or a goto exits. 2. For functions not returning values, if a return statement exists. 3. If functioin contain static variables. 4. if inline functions are recursive. The above function call passses value of 0.10 to rate. Only the trailing arguments can have default values. We must add defaults from right to left and cannot provide a default value to a particular argument in the middle of an argument list. The qualifier const tells the compiler that the function should not modify the argument. This type of declaration is significant only when we pass arguments by reference or pointers. We can use same function name with different argument list to perform a variety of different task and known as function polymorphism in OOP. I have not discussed some topic such as loops and switch because you can find them in every book.I have discussed some topics and points which we failed to notice or forgot when we read book.